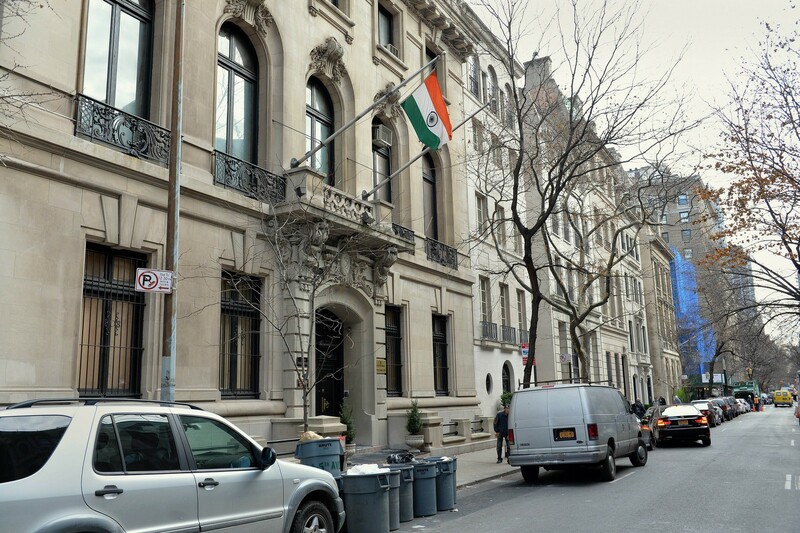 A US judge has thrown out charges against an Indian diplomat whose New York arrest and strip-search sparked a bitter diplomatic row with Delhi. 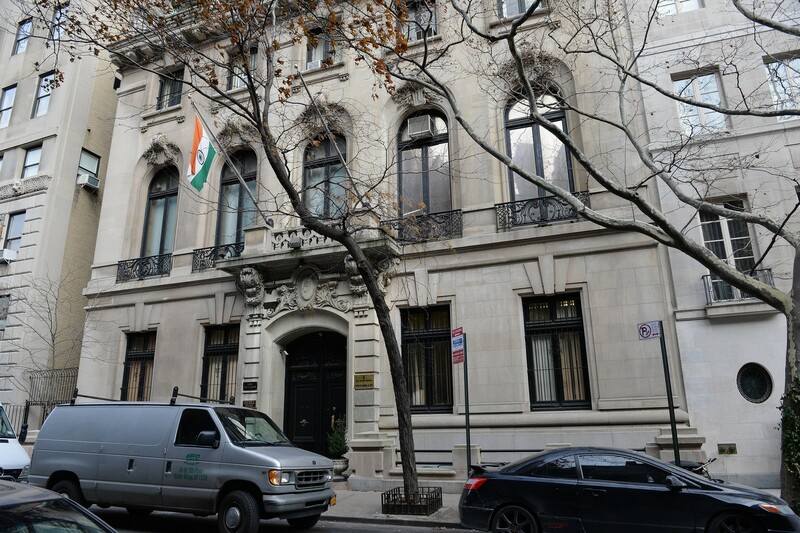 Devyani Khobragade was arrested on December 12 outside her children's New York school, accused of defrauding her Indian housekeeper's visa application. 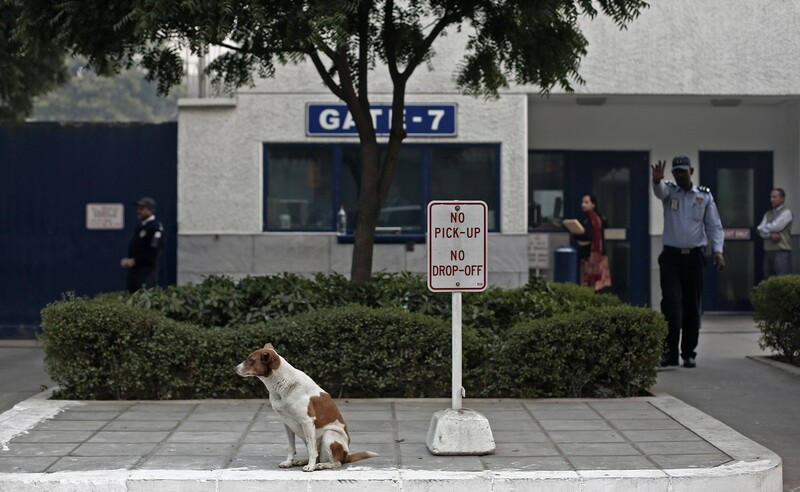 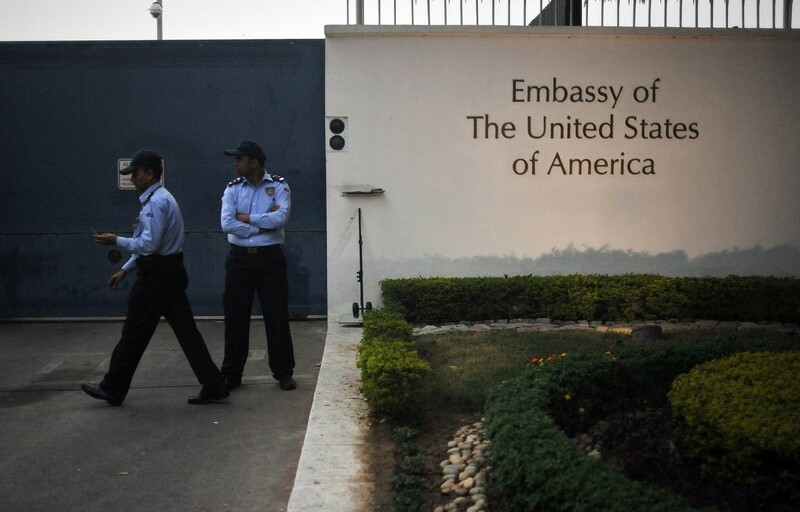 An outraged India claimed full diplomatic immunity on her behalf after Khobragade said she was subjected to a cavity search while in custody. 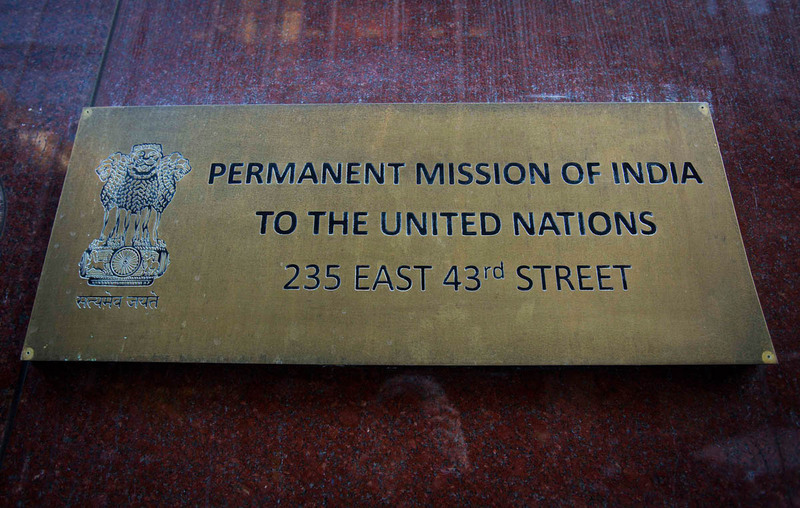 Employed at the Indian consulate in New York, she acquired in January the full diplomatic immunity granted to diplomats at the Indian mission to the UN. 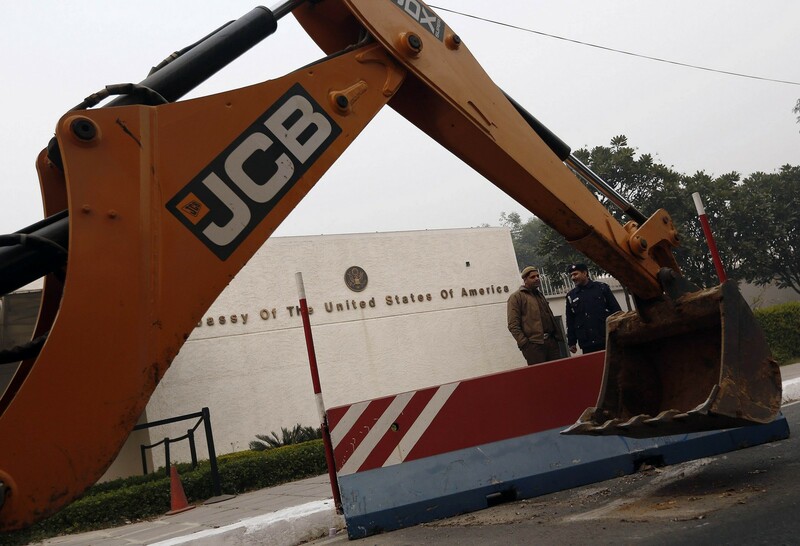 It was on grounds of immunity that she petitioned a US court on January 9 to drop the case. 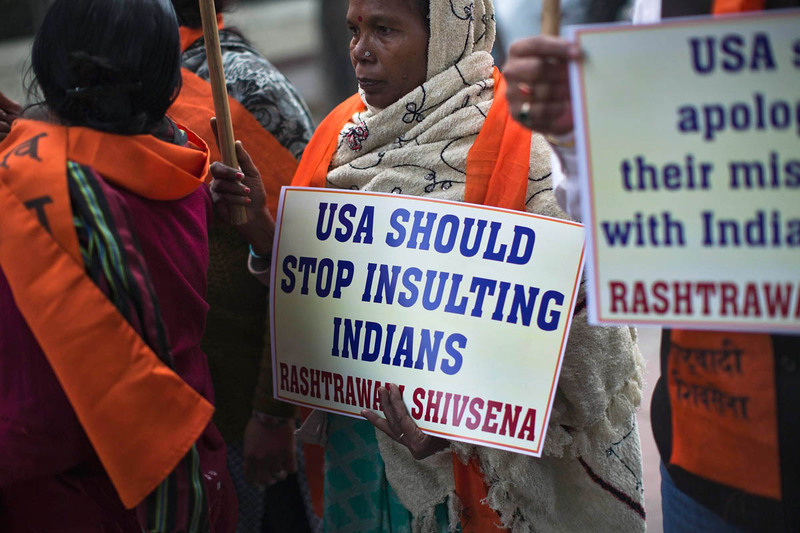 US District Judge Shira Scheindlin dismissed the indictment Wednesday on grounds that Khobragade was granted full diplomatic immunity on January 8. 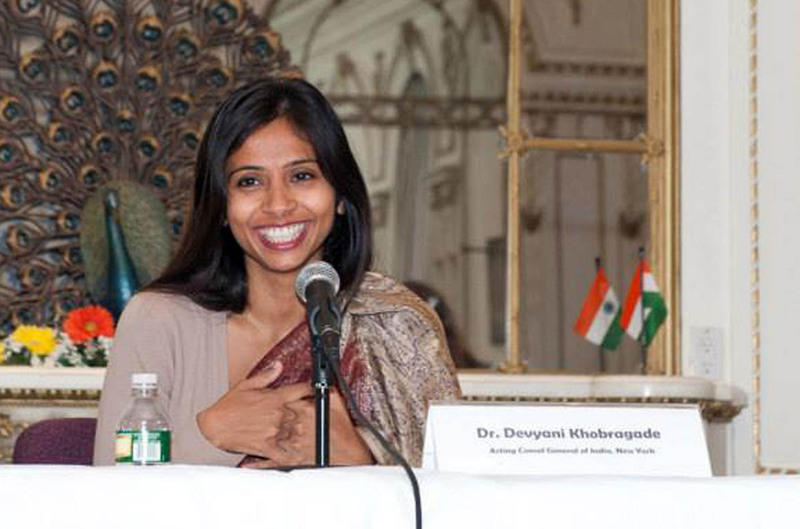 "Even if Khobragade had no immunity at the time of her arrest and has none now, her acquisition of immunity during the pendency of proceedings mandates dismissal," Scheindlin wrote. 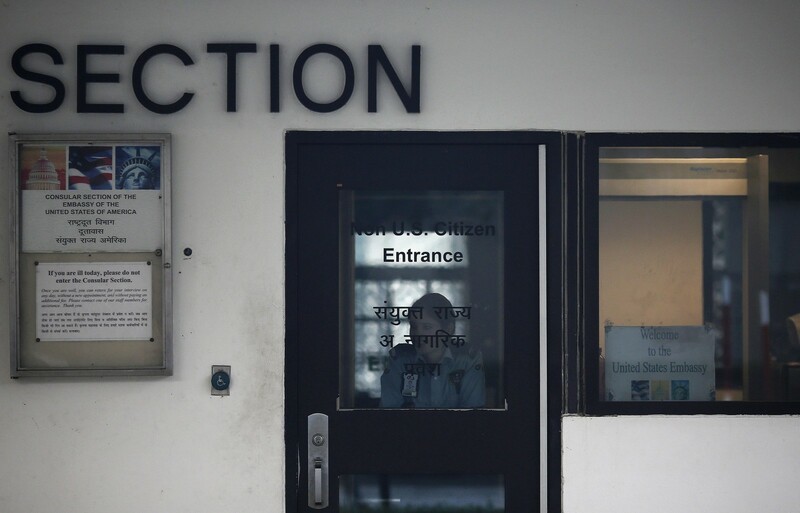 "Khobragade's conditions of bail are terminated, and her bond is exonerated... 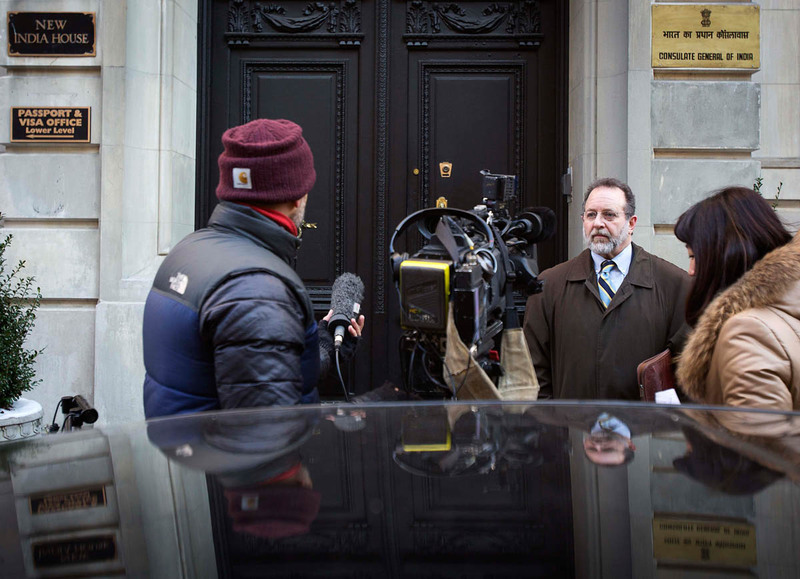 It is ordered that any open arrest warrants based on this indictment must be vacated." 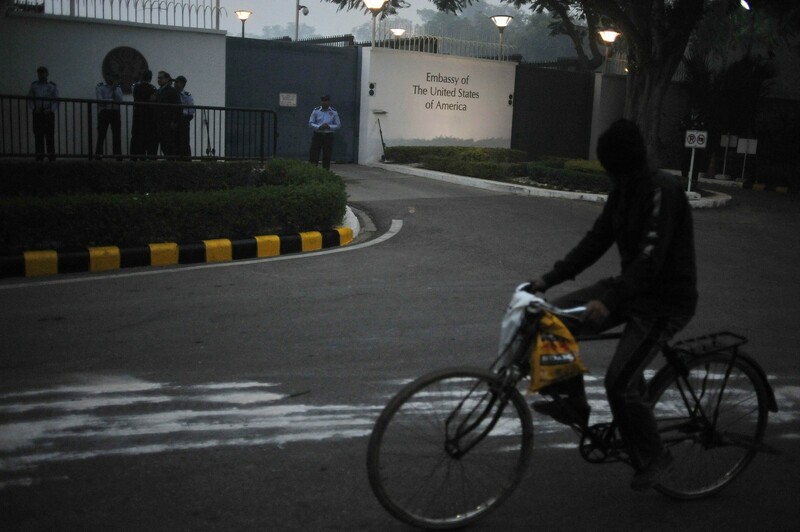 Khobragade in January returned to India in January, leaving behind her two daughters and husband, a US citizen. 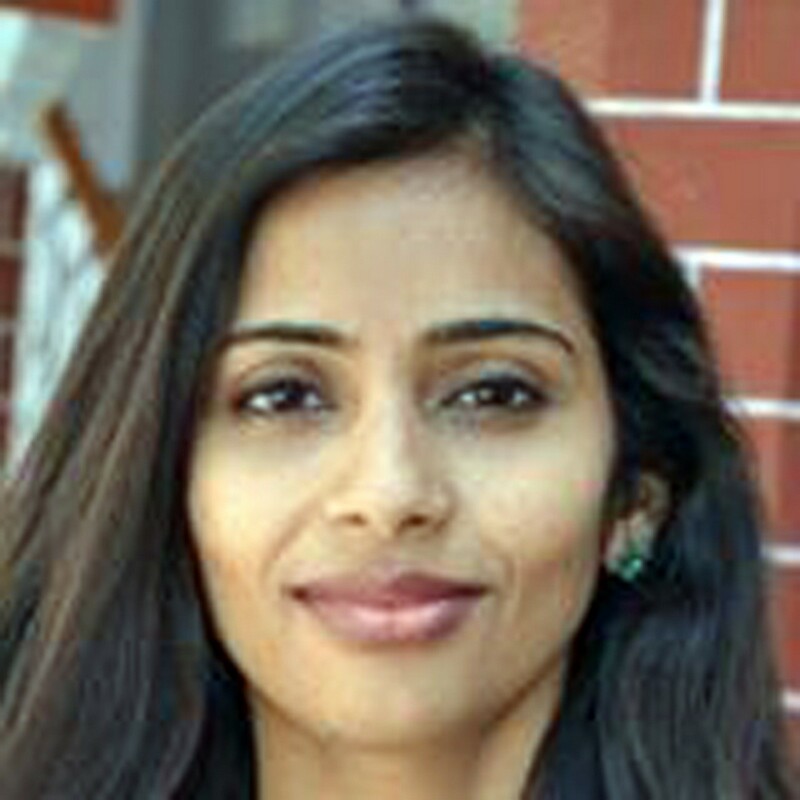 Khobragade told an Indian newspaper of her anguish at being separated from her seven- and four-year-old girls and their father, an academic. 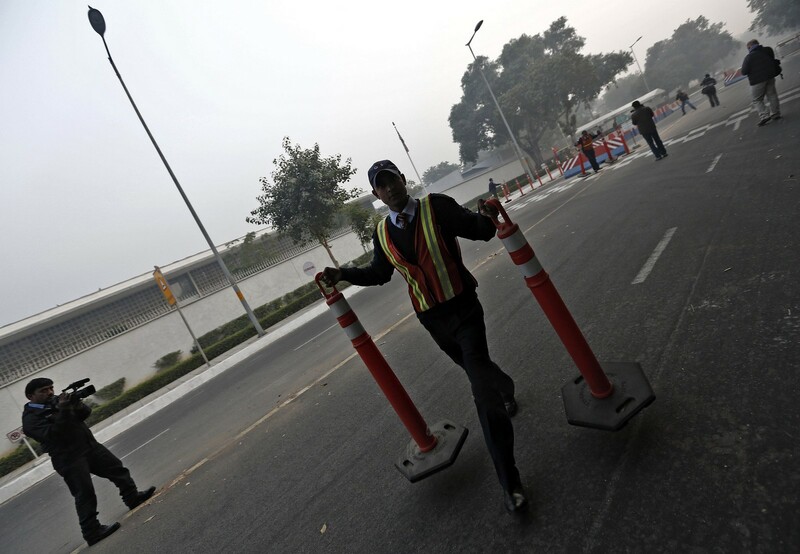 US prosecutors, disputing her immunity, accused Khobragade of sometimes forcing her Indian maid to work 100-hour weeks, even when sick and often without a day off, for pay as little as $1.22 an hour. 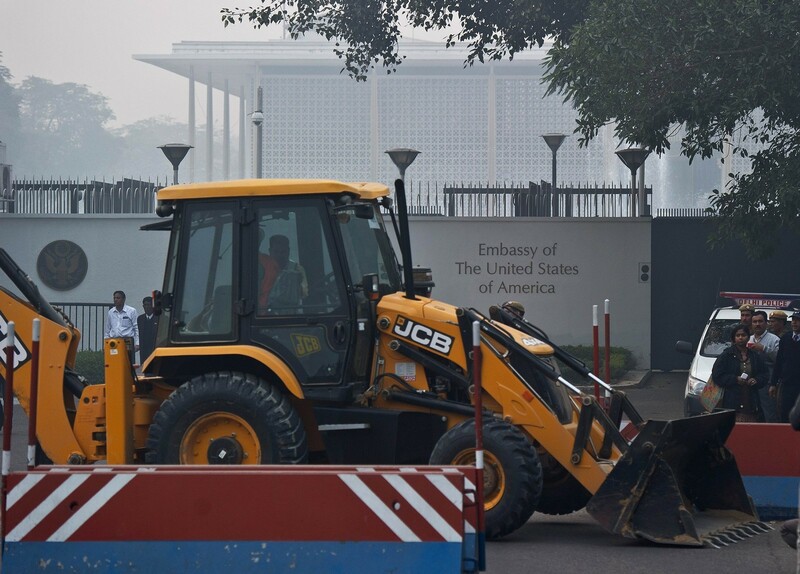 The diplomatic row between the two countries, which had embraced each other as strategic partners, strained ties and fanned resentment on both sides. 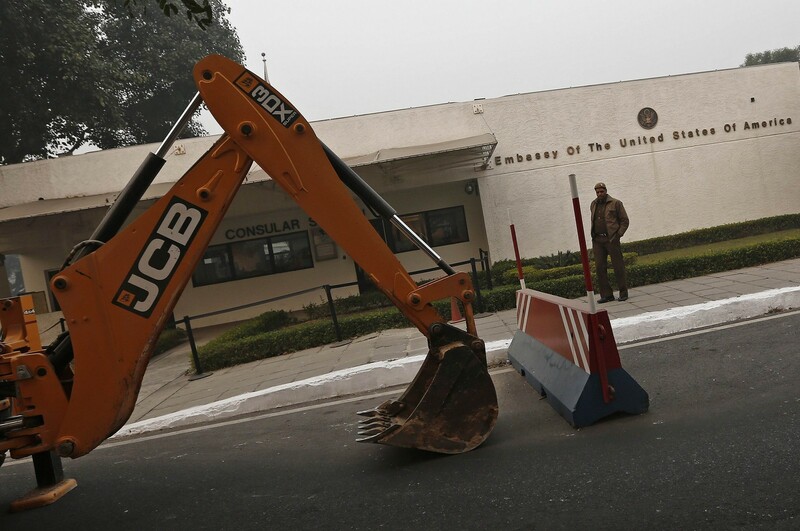 Indian police removed concrete security barriers outside the US Embassy in New Delhi on Tuesday in apparent retaliation for the treatment of an Indian diplomat who was strip-searched after her arrest in New York last week. 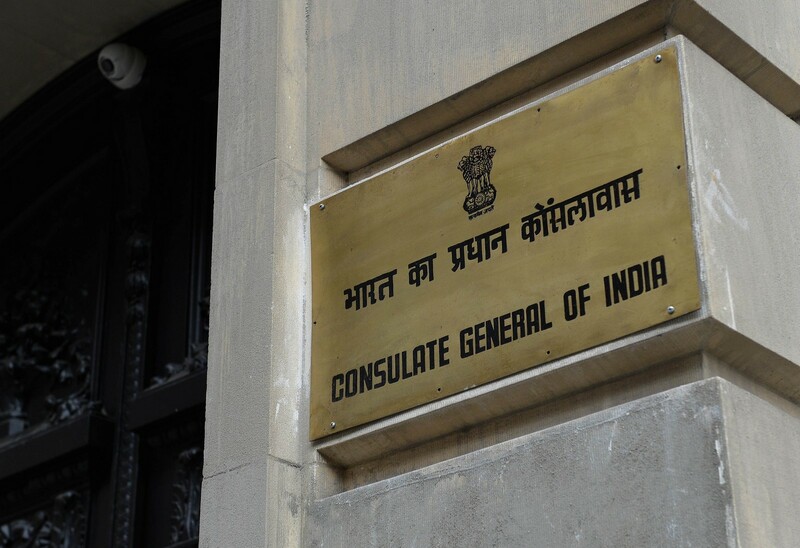 The diplomatic spat was triggered by the Dec. 12 arrest of Devyani Khobragade, a deputy consul general at the Indian Consulate in New York, on charges of visa fraud and making false statements. 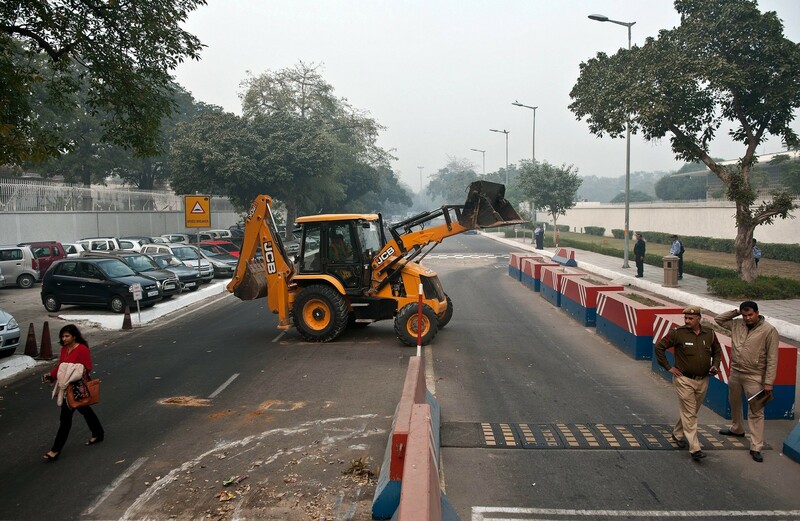 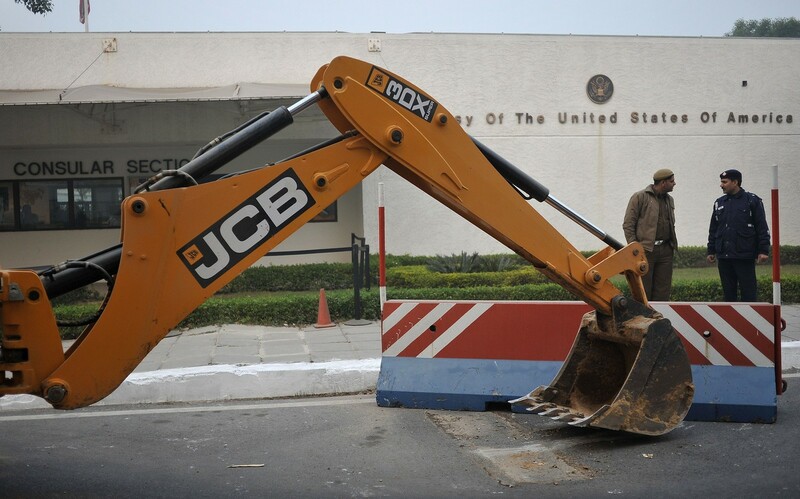 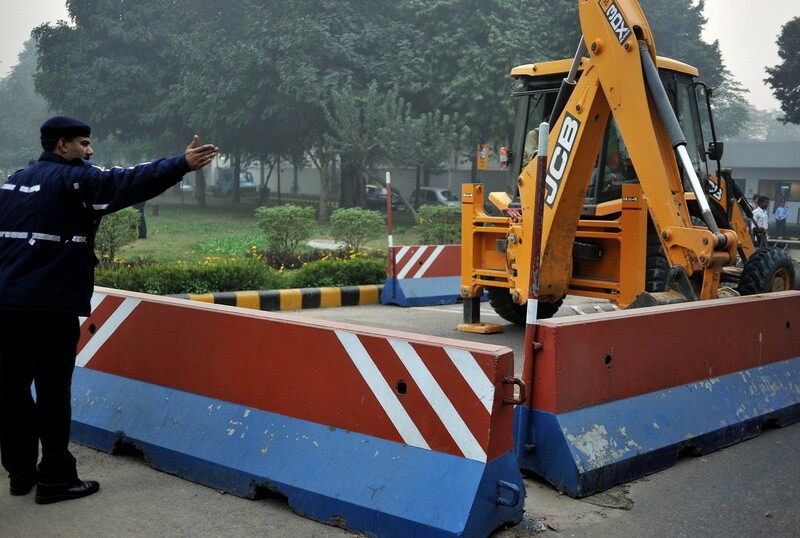 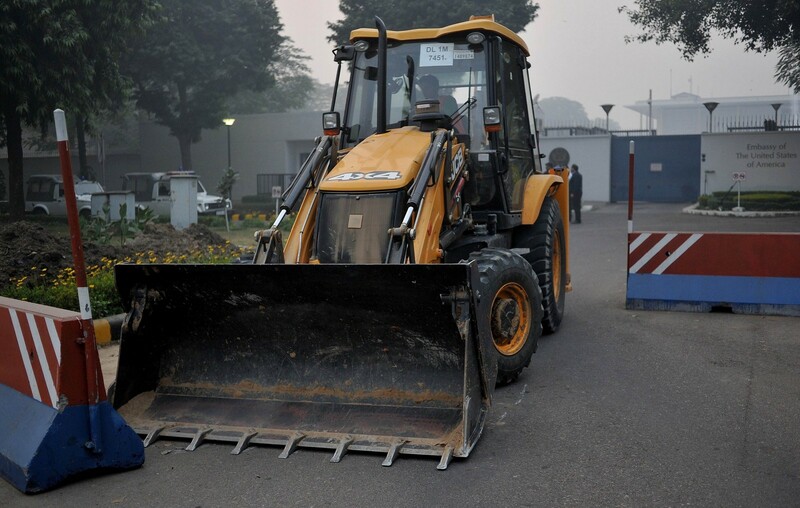 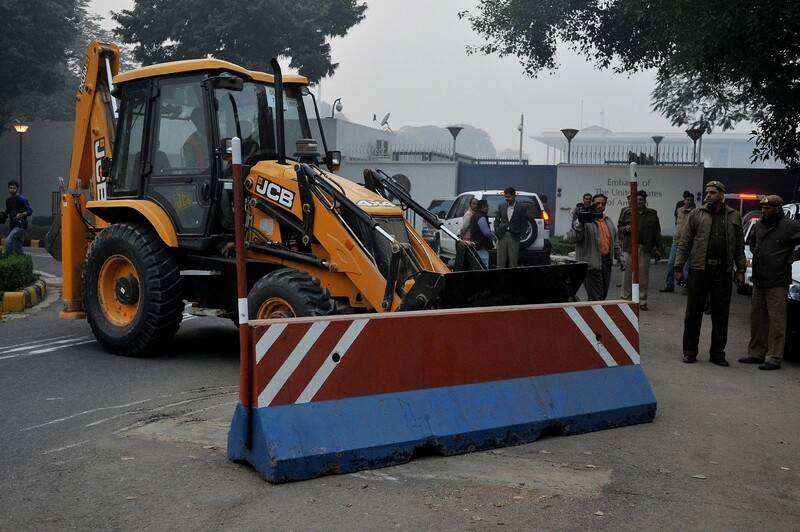 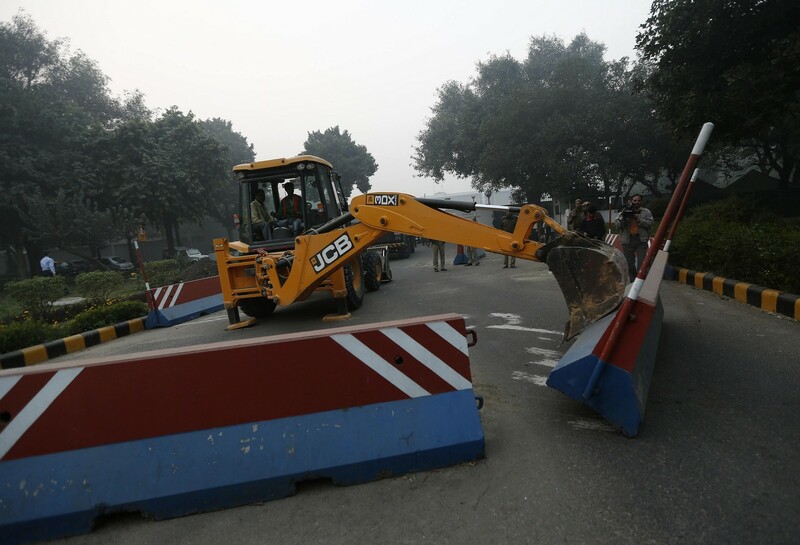 New Delhi police used tow trucks and a backhoe loader to drag away long concrete blocks from roads running past the embassy and leading up to gates of the compound. 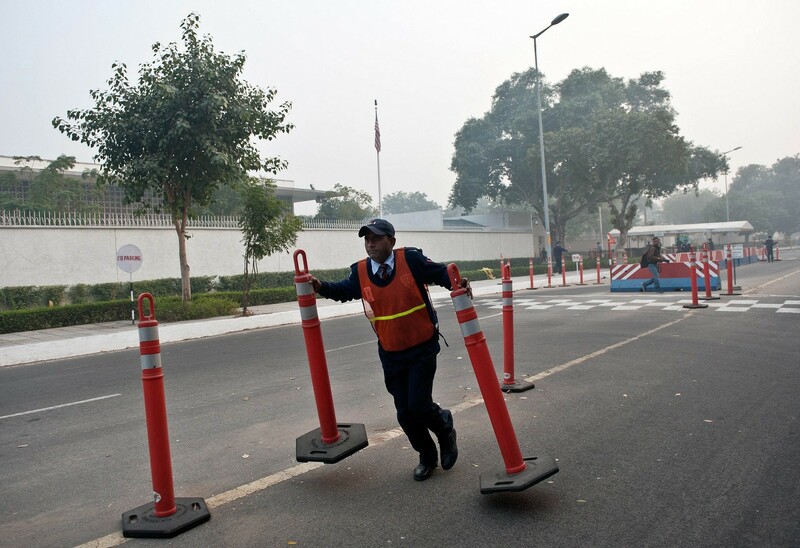 The low barriers had prevented vehicles from approaching the compound at high speeds and were presumably designed to help protect the embassy against attack from suicide bombers. 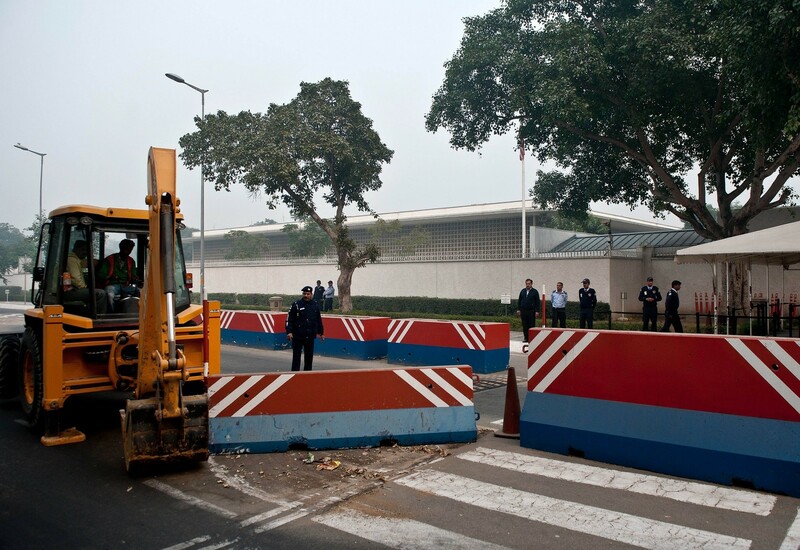 The embassy has multiple layers of security and is also protected by a high wall. 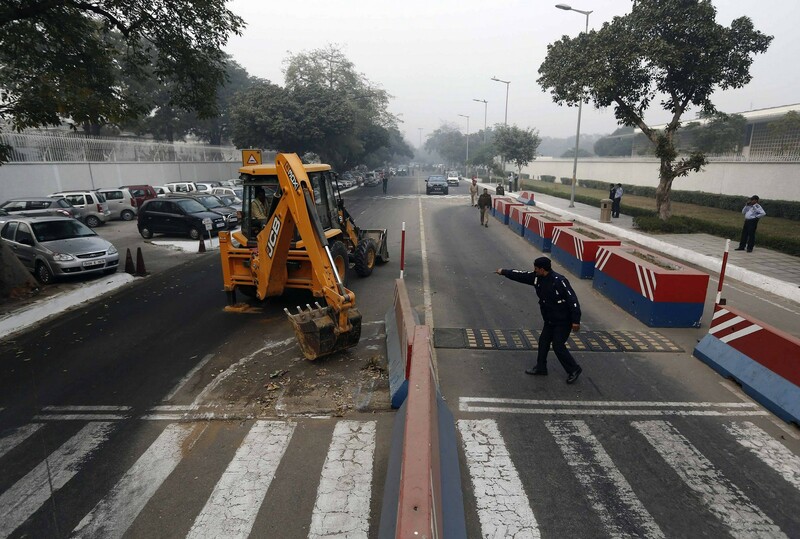 Indian police and government officials declined repeated requests for comment on why the barricades were taken away. 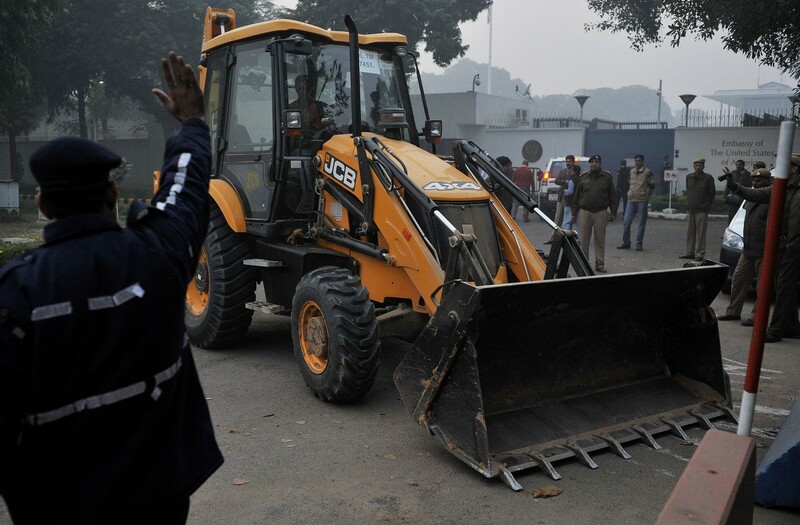 But Indian television networks said their removal was one of several retaliatory measures India planned. 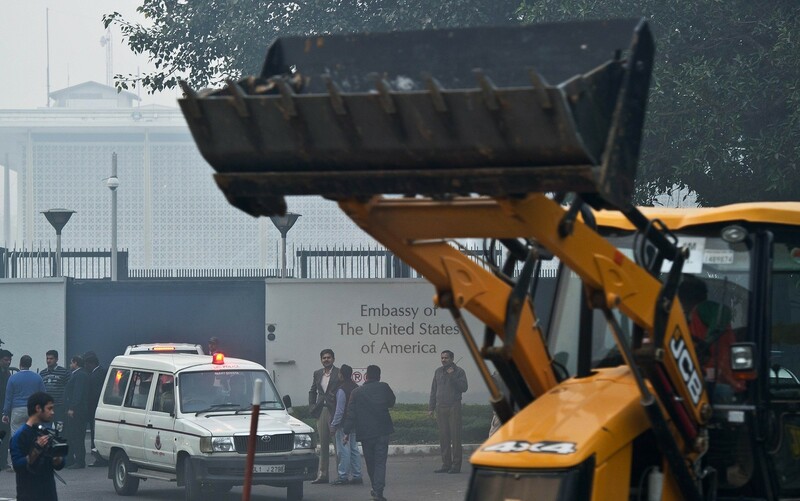 In Washington, the US State Department said it had told the Indian government at a "high" level that Washington expects New Delhi to protect its embassy and stressed it did not want the incident with the Indian diplomat to hurt bilateral ties. 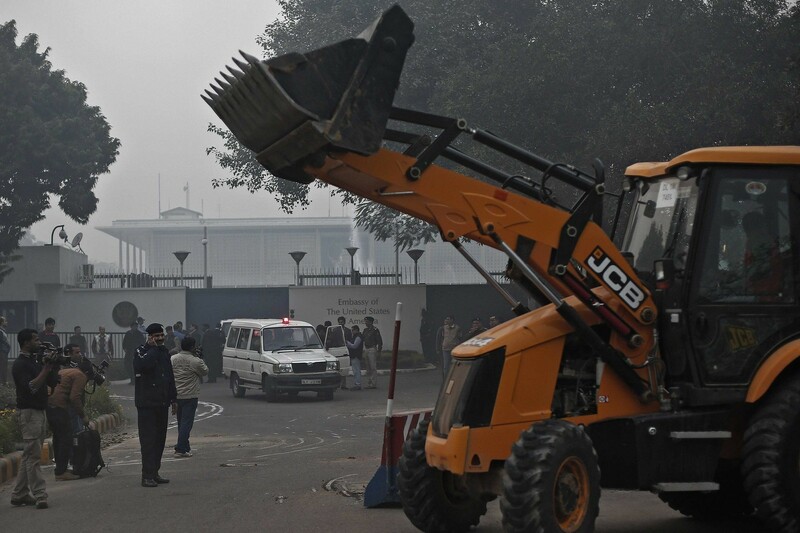 A senior Indian official, who asked not to be named, said police posted in the area would ensure continued security. 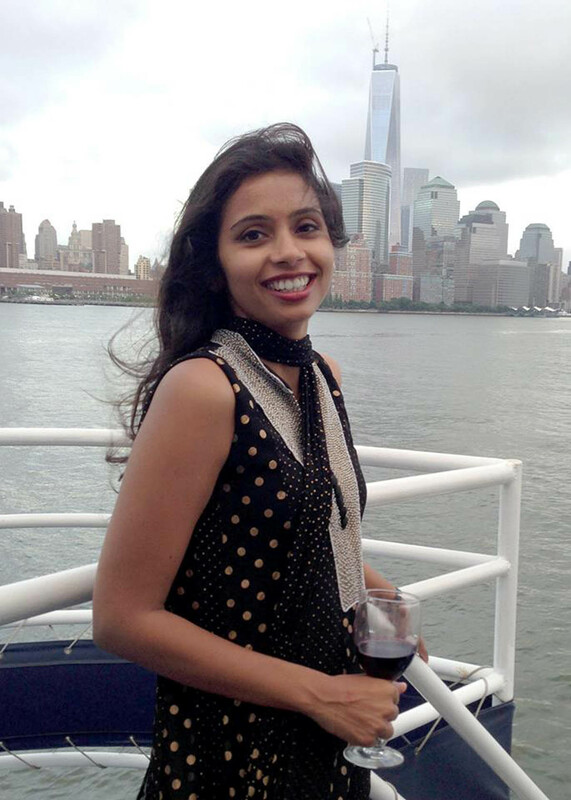 The US Marshals Service, part of the Justice Department, for the first time confirmed on Tuesday that Khobragade had been strip-searched. 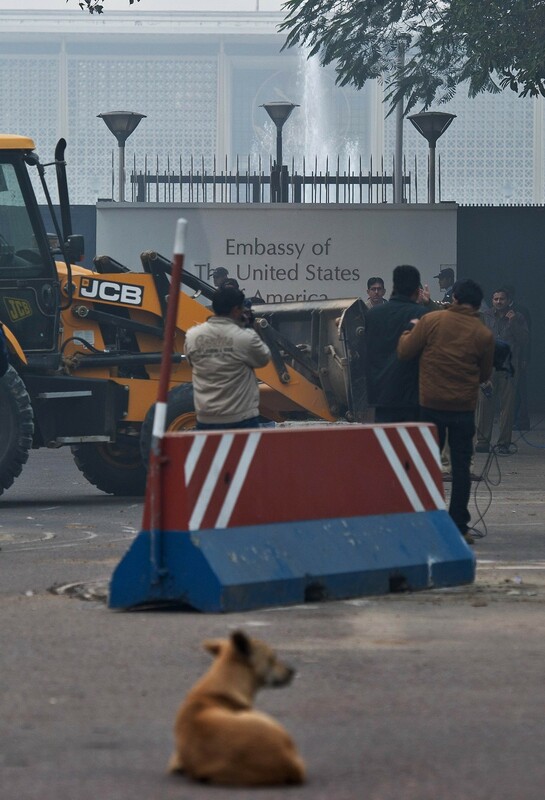 In a statement, the Marshals Service said it took custody of Khobragade after her arrest by the State Department's Bureau of Diplomatic Security. 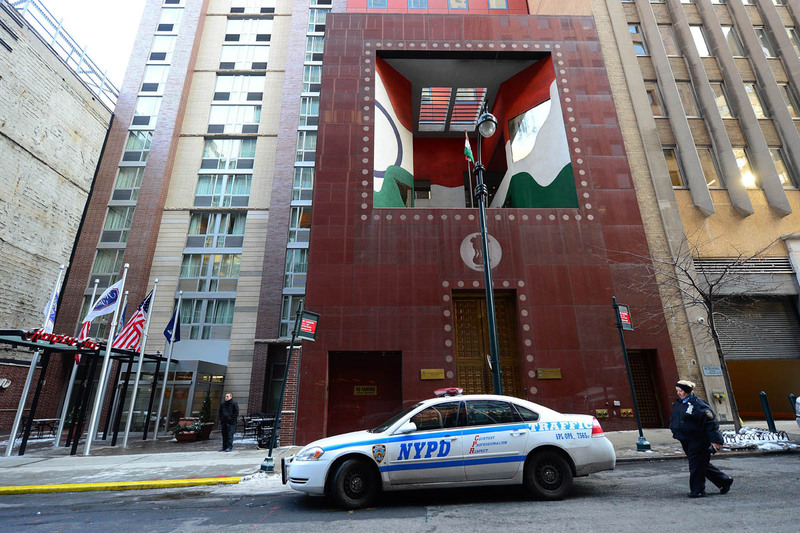 It confirmed she was strip-searched, saying it followed "standard arrestee intake procedures." 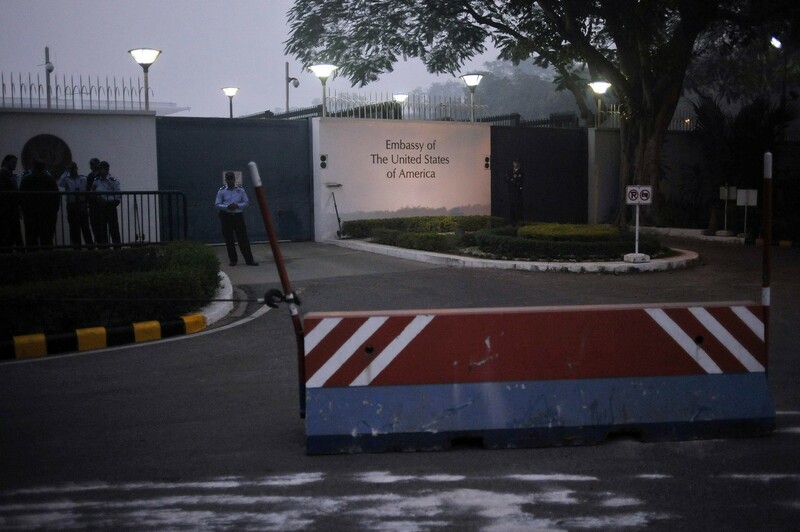 As the dispute over the diplomat's treatment grew, Indian politicians, including the leaders of the two main political parties and the national security adviser, refused to meet with a delegation of US lawmakers visiting India this week. 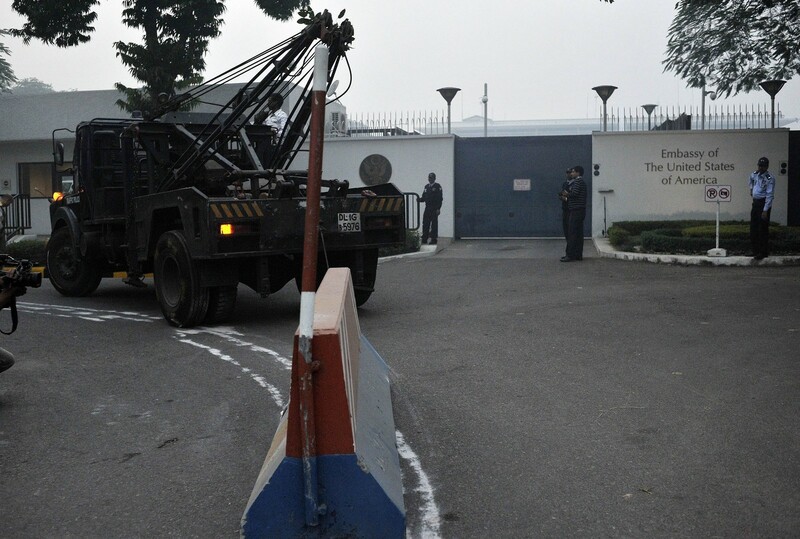 India's National Security Adviser Shivshankar Menon branded as "barbaric" the treatment of the diplomat, who according to Indian media was handcuffed upon arrest last week and strip-searched before being released on bail. 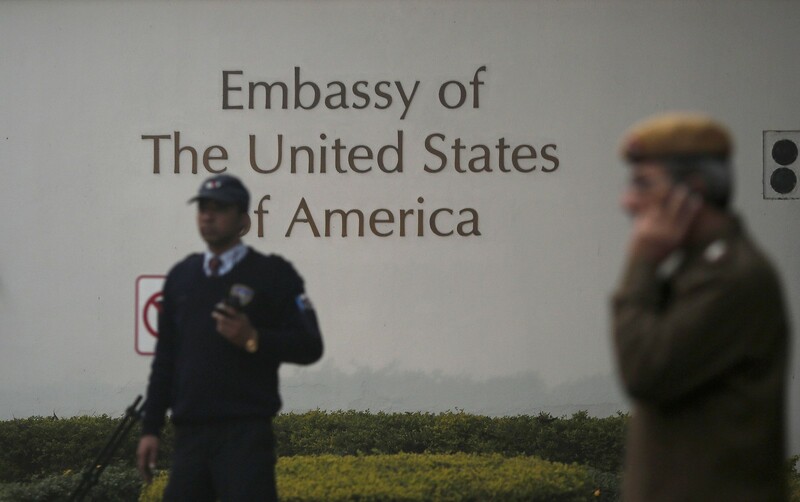 Khobragade, who was released on US$250,000 bail after giving up her passport and pleading not guilty to the charges, faces a maximum of 15 years in jail if convicted on both counts. 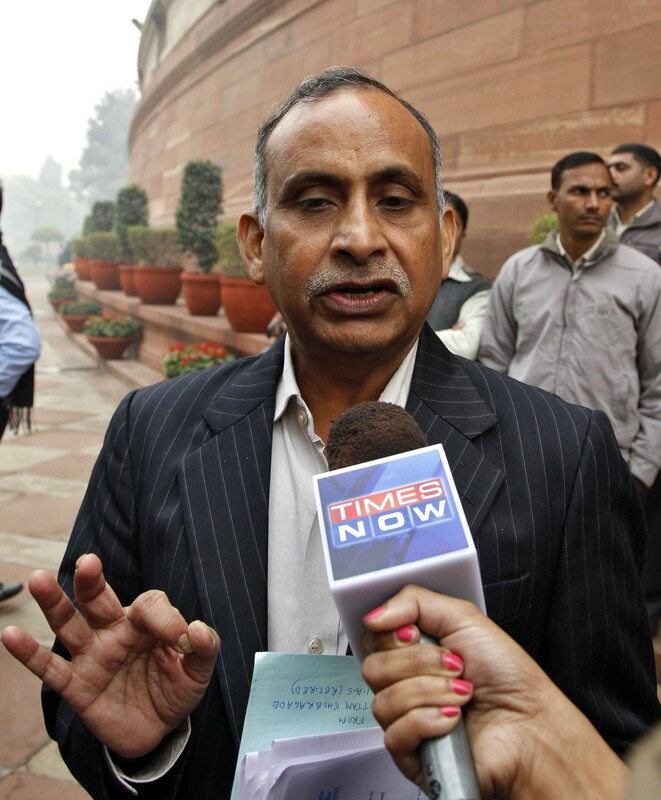 Uttam Khobragade, father of Devyani Khobragade, India's deputy consul general in New York, speaks with the media after meeting India's Home Minister Sushil Kumar Shinde in New Delhi December 17, 2013. 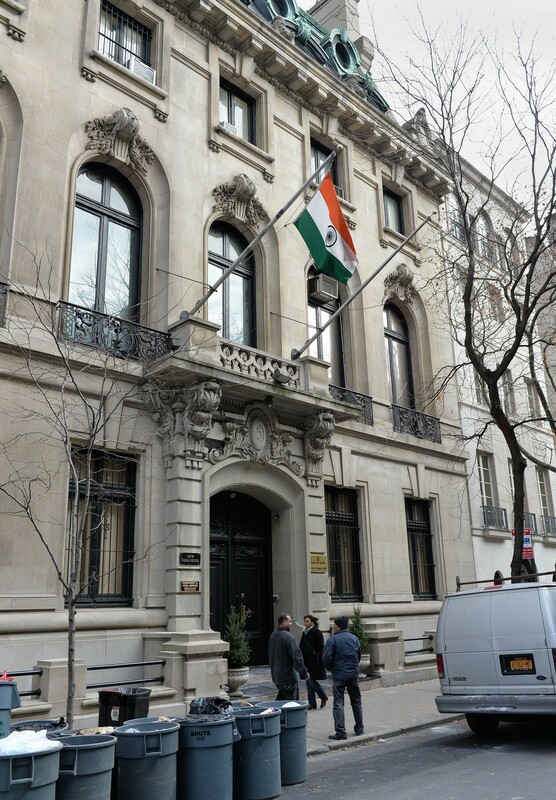 The Consulate General of India building on East 64th Street December 13, 2013 2013 in New York.